Up to four photographic jobs are under threat of redundancy in a restructure which will also see the closure of a weekly newspaper office. Newsquest has announced a series of changes affecting its North West titles including the Lancashire Telegraph, Warrington Guardian and a series of weekly newspapers in Cheshire. Two staff photographer roles are at risk at the Blackburn-based Telegraph and two more at the Warrington Guardian, with a new picture desk curator position to be created at each centre. 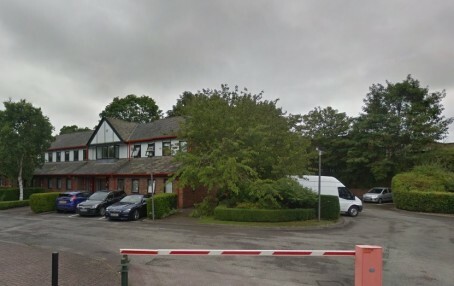 And Newsquest’s Northwich office – which houses staff working on the Northwich Guardian and its sister titles in Knutsford, Middlewich, Wilmslow and Winsford – is also set to close, with journalists being transferred to Warrington. The Theatre Court buildings in Northwich where the Guardian’s office is currently based. Three admin staff are also understood to be under threat on the Wirral, with one role set to disappear. A formal consultation period began on Tuesday is set to end in two weeks. A Newsquest spokesman said: “Due to the ongoing changes in our industry we continue to review our structures. The move comes a year after around 12 jobs were lost at the same group titles in a previous round of cutbacks. Four staff photographer roles, two feature writer roles and two digital editor roles were among those axed at the Warringhton Guardian and its sister titles in Cheshire and Merseyside last November. How many job cuts have been announced this month? Yet, on Hold the Front Page, we’ve got a no doubt well-meant suggestion for Ofsted-style ratings for journalism courses. Question: Who’s going to be left to care? At one time you could tell it was heading to year end and the traditional culling season by the amount of job cuts announced in HTFP,for the past year it’s been impossible as the axe has been swathed through entire teams,departments and companies all year long. This makes me wonder what will be left of the uk regional press in a years time and how many papers currently limping along shipping revenue left right and centre will still be going this time next year? 2016 really has been the year of the slash and burn but what are we left with? its the cull season. Those few that are left. A steady flow of redundancies, always comes to a head this time of year…It’s all in the budgets. It’s the alternative to a Christmas bonus.